CEO of Philippine news website Rappler, Maria Ressa, gestures as she speaks to the media as she arrives at the National Bureau of Investigation (NBI) headquarters in Manila on January 22, 2018. 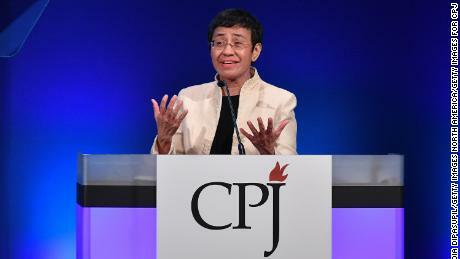 (CNN) Award-winning journalist Maria Ressa has been indicted for a second time, in a move widely criticized by rights groups as an attempt to stifle press freedoms in the Philippines. Ressa, who is the founder and editor of online news outlet Rappler, is currently out on bail following tax evasion charges filed against her in November, which critics say are politicallymotivated. She now faces "cyber libel" charges over an article published in 2012. Amnesty International labeled the latest indictment, filed earlier this week, as "yet another absurd legal attack" on the Rappler news outlet, adding that the charges amounted to "harassment" but came "as no surprise." Rappler has become an indispensable source of information in the Philippines in recent years, owing to its unflinching coverage of the country's President Rodrigo Duterte and his brutal war on drugs. In 2018, Ressa was named among a group of journalists as Time magazine's Person of the Year. The article linked prominent businessman Wilfredo Keng to one of the country's top judges during his impeachment trial. In January, the country's National Bureau of Investigation ruled that because the report preceded the law, Ressa could not be charged. The Department of Justice has now over-turned that ruling on the grounds that the news article was updated in February 2014. 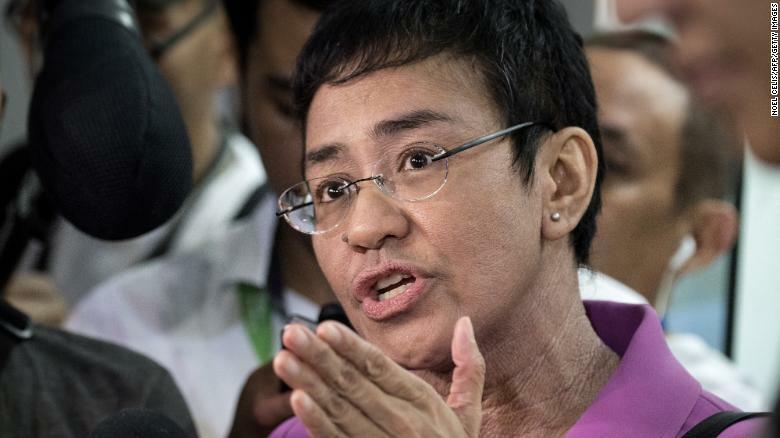 Ressa said that the charges "highlight the political nature of these attacks against independent journalists like me and news groups like Rappler." "The law is being weaponized in an attempt to control the public narrative," she added. "We will not be intimidated and will continue to shine the light on actions of impunity." "The judicial harassment used by (the) Duterte government to persecute Rappler and Maria Ressa is grotesque. It'd be almost laughable if it weren't for the terrible judicial precedent that this decision would set, if upheld," the organized wrote. The National Union of Journalists of the Philippines (NUJP) called the enshrining of electronic libel "an institutionalized threat to free expression, especially in the internet age," given the ease of which information is shared online. "It's a question of tax evasion. You violate tax laws and then you'll be prosecuted," he told reporters, according to Rappler. "We have repeatedly said that we've never and will never interfere with the function of the judiciary. If the judiciary finds probable cause, then we'll have to respect the law on the matter. 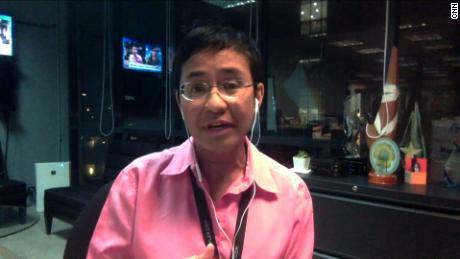 Ms. Ressa is entitled to legal remedies under the law." Brad Adams, Asia director for Human Rights Watch, earlier said the case sent "a chilling message to journalists and human rights activists (in the Philippines) that they will be targeted for exposing his murderous campaign."